How fun is this cute pillowcase?! 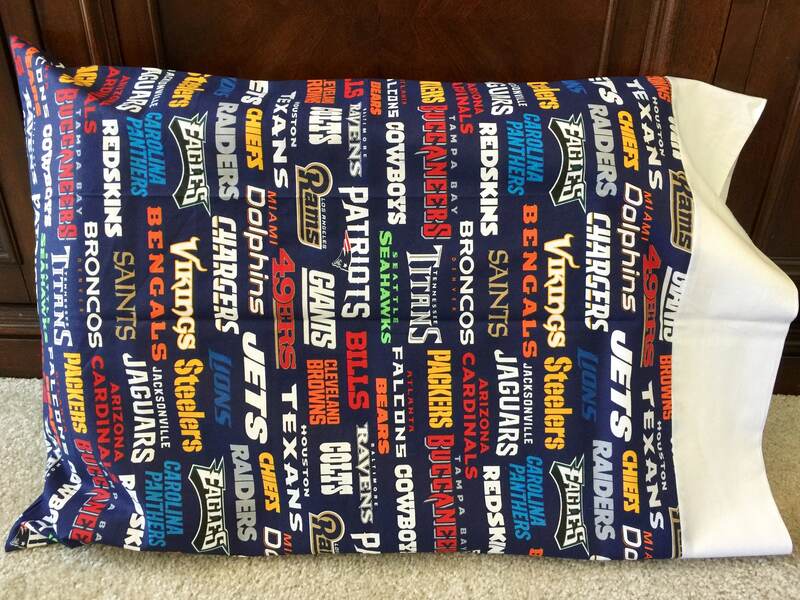 Pillowcases are such a great gift to give and an easy way to liven up a bedroom! These will make a great addition to your room, your toddler's room or teenage kid's room. They are perfect for slumber parties, vacations, car-rides, daycare, camping, party favors, Christmas gifts, birthday gifts, etc. Many uses! All of my pillowcases are made with 100% cotton fabric. These fit standard size pillows and are all made in my smoke free/pet free home. The seams are fully enclosed which eliminates strings from tangling and there are no exposed ends. Care: Machine wash cold, tumble dry low. No chlorine bleach. Each item is uniquely handmade for you so your pattern placement may not be identical to the one shown.